Dr. P.N. Sreeramulu, aged 52yrs, working as a Principal & Dean in Sri Devaraj Urs Medical College, Tamaka, Kolar. Dr P.N. Sreeramulu, working as a Dean, Faculty of Medicine, Sri Devaraj Urs Academy of Higher Education & Research, Tamaka, Kolar since 18-01-2019. I have completedMBBS and MS in Surgery. In addition, I have fellowships in FMAS & FAIS. Nineteen Years (19) of teaching experience, teaching undergraduates students and 13 years teaching postgraduates students of various specialities at Sri Devaraj Urs Medical College, Kolar. 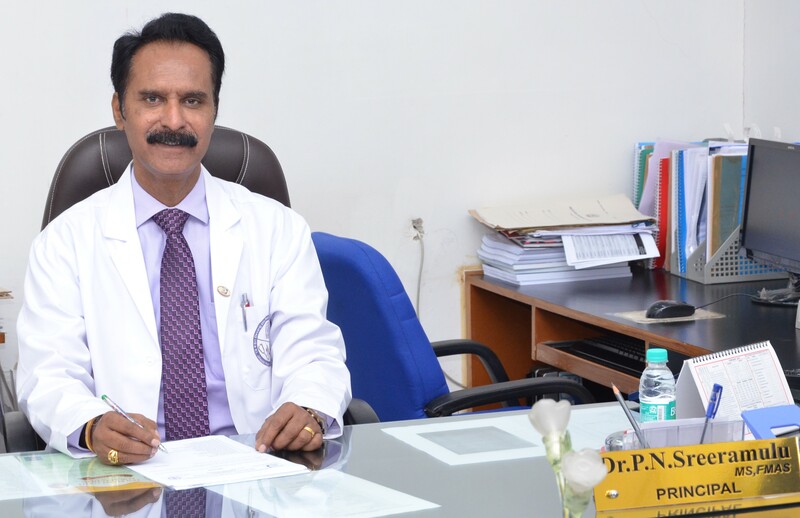 He has been Examiner for UG & PG students in various universities and PhD guide, department of general surgery recognized by Sri Devaraj Urs Academy of Higher Education & Research. Publications: 83 research publications in National/International Index Journals and presented scientific papers at various conferences and CME’s. He has administrative experience of 14 years as an administrator and Team Leader. And also was Editor in Chief and Chairman magazine committee for official SDUAHER Magazine “SANKEERNA”. He was Medical Superintendent of RL Jalappa Hospital and Research Centre and instrumental to start NABH accreditation process and was the 1st NABH steering committee chairman. Initiated celebration of the birthday of our Founder President and Chairman Sri R L Jalappa and named it as “Hospital Day”.